The Fresh Kills site is approximately 2,200 acres of New York City-owned property, the majority of which is under the jurisdiction of the Department of Sanitation. The Department of Parks & Recreation is the lead agency in the transformation of the site from Fresh Kills Landfill to Freshkills Park. For more than 50 years, Fresh Kills Landfill operated as the City’s principal municipal solid waste landfill, receiving household, commercial, and municipal solid waste between 1948 and 2001. A state law passed in 1996 mandated that solid waste landfill operations cease at Fresh Kills by December 31, 2001; landfilling subsequently ended on March 22, 2001. Large portions of the site are defined by four solid waste landfill sections – identified as Section3/4 (North Mound), Section 2/8 (South Mound), Section 6/7 (East Mound), and Section 1/9 (West Mound). The four landfill sections are regulated as Solid Waste Management Unit (SWMU) areas by the New York State Department of Environmental Conservation (DEC). Approximately 987 acres or 43% of the site is within an SWMU. 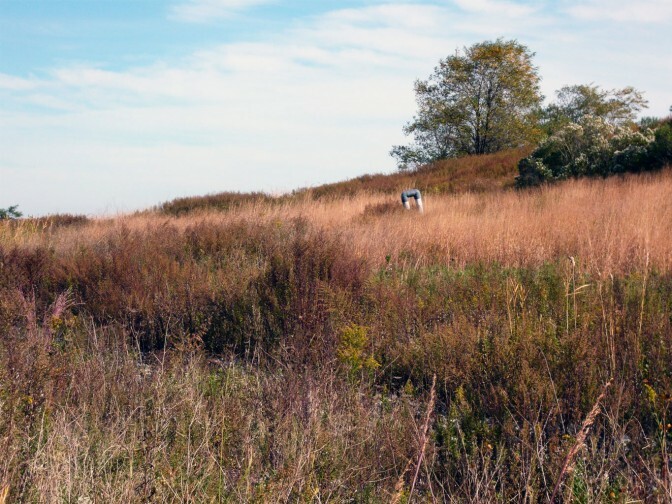 The balance of Fresh Kills Landfill property is regulated as a buffer and environmental compliance area and includes landfill monitoring and maintenance systems. DEC’s Division of Materials Management regulates landfill closure and post–closure operations under 6 NYCRR Part 360, Solid Waste Management Facilities (Title 6 of the Official Compilation of Codes, Rules, and Regulation of the State of New York). The Solid Waste Management regulations address the need to identify and manage current or future potential releases of pollutants or the mitigation of contaminants from a landfill, and to control and mitigate any impacts once landfill operations have ceased. Among the requirements, all of which are met at Fresh Kills, are landfill gas control, leachate collection and treatment, and a post–closure operation and maintenance plan for a minimum 30–year period. Project inquiries can be submitted through our website. A member of the Freshkills Park Development Team will be in touch about your submission and to arrange a site visit. Full proposals will only be considered after a letter of inquiry and site visit. The Department of Parks & Recreation will work with researchers/artists and facilitate approval from the Department of Sanitation (DSNY) and the New York State Department of Environmental Conservation (DEC) as needed. measures that will likely result in the erosion of landfill mound slopes. In your proposal, please be aware of the wind and vertical loading issues on the mounds. Collaboration with a licensed engineer may be required. Proposals for non-invasive work require less review than minimally invasive work. Review of proposals for minorly invasive work might take up to several months, depending on the complexity of the site and project. Non-invasive work does not disturb or modify the ground plane. DSNY must provide authorization for all work plans. Examples of non-invasive work include: observational studies of flora and fauna, collecting above-ground plant material, installing/maintaining rain water gauges, setting insect traps, etc. Minorly Invasive work may disturb the ground plane, either temporarily or permanently. DSNY must provide written authorization for any work plans requiring site disturbance. Work plans may also be subject to regulatory approval and DEC review. Sampling and analytical procedures must be clearly documented in the event that data are inconsistent with DSNY’s database of information. Work plans are required to conform to the Fresh Kills Landfill Order on Consent, (see below for more information) and must not compromise the landfill systems or endanger public health and safety. Examples of minorly invasive work include: ground disturbance within 15 feet of any landfill infrastructure, installation of permanent structures or equipment, installing temporary monitoring equipment that requires a temporary footing or foundation, etc.